Introducing Hands On Nashville’s 2016-2017 AmeriCorps Members! 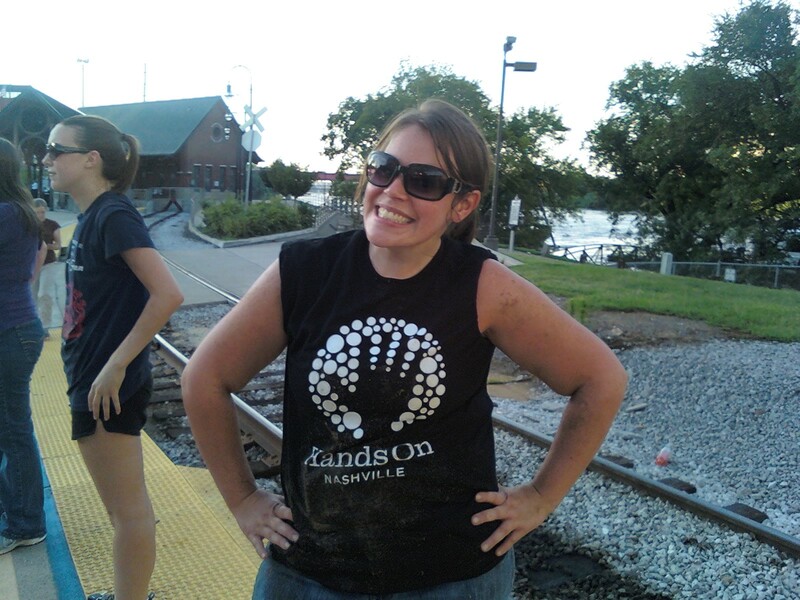 This Fall, Hands On Nashville welcomed a class of AmeriCorps members to serve in key impact areas. From leading projects that enhance our environment, to harnessing the power of Nashville’s corporate volunteers, each of these individuals will support Hands On Nashville in its mission to meet community needs through volunteerism. As Breanna, Peter, Anna and Natalie get settled into their terms, we asked them about the meaning of volunteerism, what drives them to serve, and few curve balls for good measure. Jackie Hamson (center) volunteering with friends on MLK Day of Service 2015. Please Join us in Welcoming our Newest Team Members! Introducing our 2014-15 Youth Volunteer Corps (YVC) Interns! From August through May, these 10 outstanding teens will serve as a leadership team that works with Hands On Nashville staff to develop and lead youth projects that impact the community. Each has chosen a concentration – Arts, Fitness and Nutrition, or Technology – and will design and facilitate educational and skill-building lessons for youth served by area nonprofits. Sarah Alexcee is a senior at Glencliff High School where she is proud to be “the voice of Glencliff High School in Newspaper Club.” Sarah says if there is an issue or topic that needs to be addressed at her school, she is the one who authors the story. Sarah’s goal is to help the community while further enhancing her leadership skills in working with other students and adults who are committed to helping others. Fun Fact: If Sarah could only listen to one CD/album forever, she would listen to Artpop by Lady Gaga. Anagha Ashokan, a sophomore at Hume-Fogg Academic High School, has served as a delegate at Model United Nations, a Volunteer Mentor for the 2014 PACE (Pencil Academic & Career Enrichment) Summer Camp for Middle School students, and is the class officer in her school’s Student Government Association. Angagha says she is excited to take on this new leadership role by giving back to the community. Fun Fact: If Anagha could have any superpower, it would be the ability to travel through time. Michael Canonico is a senior at Father Ryan High School where he has been an officer on the student council for the past two years and is a student ambassador. As a YVC Intern this school year, Michael hopes to learn from the youth he will be working with and broaden his perspectives. His goal is to improve his leadership skills. Kara Cobb, a senior at Hume-Fogg Academic High School, is excited to be returning for a second consecutive year as a YVC Intern. During this internship, Kara says she wishes to learn how to better enrich service projects and to become a better leader. Fun Fact: If Kara could travel anywhere in the world, she would pick the Maldives. “It seems like a perfect paradise,” she says. Angelica Flores is a junior at Father Ryan High School where she organizes shows and fundraising opportunities for the Theater Club, is a member of the Relay For Life committee, and also serves on the Veteran’s 5k Leadership committee. Angelica has also attended a national Youth Leadership Conference, and her goal for this internship is to learn how to organize intriguing service events for her peers. Fun Fact: If Angelica could eat only one food forever, she would choose smoothies – “I’m more than a little obsessed with them, and they’re good for you,” she says. Hannah Levy, a sophomore at Brentwood High School, hopes to achieve a greater connection with her community through this internship. Hannah is a member of Mu Alpha Theta, where she tutors other students in math, and is also a member of her school’s student council and Peer Leadership Team. Fun Fact: If Hannah could do anything, she would travel. “I would love to observe culture in different regions, as well as visit many of the iconic sites spread across the world,” she says. Camryn Magsby is a sophomore at Hume-Fogg Academic High School. 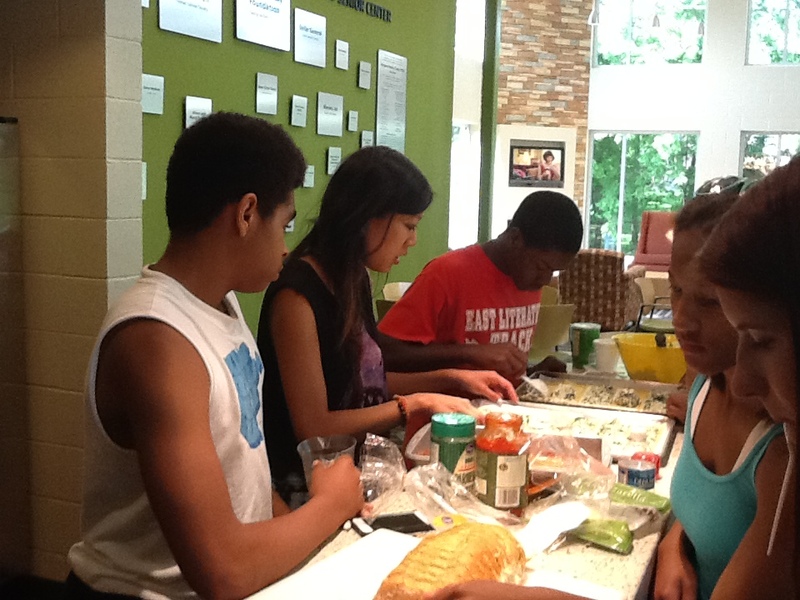 Last summer, Camryn taught youth about nutrition and health while serving as an Urban Agriculture Intern. Through the YVC internship, Camry hopes to gain knowledge and skills that she can apply to a future career in community organization. Fun Fact: If Camryn could travel anywhere, she would go to Spain, Costa Rica, and Dominican Republic. “I am very fascinated with Spanish language, so traveling to different countries and learning more about their rich culture [would be] a very fun way to meet new people and experience new opportunities,” she says. Karthik Pradeep is a sophomore at Centennial High School. Last summer, he helped teachers lead summer encore programs at Lipscomb Elementary and Clovercroft Elementary schools. As a YVC Intern, Karthik says he hope to spread as much of his knowledge in the realm of computer science to others as he can, and in the process, learn something new through the enrichment of others. Caroline Rivers is a senior at Hume-Fogg Academic High school. 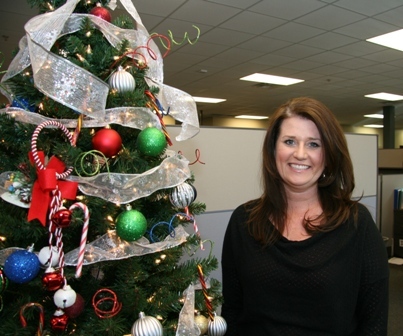 She says she hopes to learn the best ways to work with children in our community through her YVC Internship. Last year, Caroline started her own tutoring business last year, and she is a member of the senior dance company at Bellevue Dance Center. Fun Fact: If Caroline could travel anywhere, she would go to India. “I want to be immersed in the beautiful culture,” she says. Raffi Yang is a senior at Hume-Fogg Academic High School where he is a senior member and building coordinator of the school’s Science Olympiad team. Besides having fun, Raffi says he hopes to meet a diverse group of people through his involvement in this internship. Fun Fact: If Raffi could have one superpower, it would to be able to predict the future. “I like knowing what comes in the future,” he says. Two years ago I was given the opportunity to volunteer at Hands On Nashville Day. Even though I had other friends volunteering and I knew it would be a good experience for me either way, another motivating factor for me to participate was to hopefully make a connection with a co-worker I had a crush on named Marcus. I got up two hours before I had to be at the school site so I could do my hair and make-up and pick out the perfect outfit. I arrived at the school at 8 a.m. that Saturday morning. Once I arrived, I met up with all of the other volunteers and we gathered around so we could get instructions. I was assigned to the same team Marcus was (surprise!) We were outside painting the portable classrooms when we made our first connection. After a day full of painting and some yard work, we continued on to the HON Day afterparty, which was great. We were able to meet some of the people that were volunteering at other schools that day and ask how their projects went. We also got to meet some of the students and teachers. The Hands On Nashville staff was very appreciative of everyone’s efforts and how much we achieved in that one day. They also catered a lunch for us at the afterparty and had raffle prizes. I won a CMT One Country bag with tons of cool stuff in it and Marcus won tickets to the play Holes at the Children’s Theatre. Marcus and I were the last guests to leave the afterparty because we were having such a good time talking. As we were leaving, Marcus asked if I would like to see the play with him soon. Of course I said yes! We ended up having our first date together before we made plans to see the play. That was almost two years ago and now we have a little boy named Lincoln who is seven months old and we are getting married in October in Florida! Hands On Nashville Day not only gave me the opportunity to do some good work in my community, it helped start my wonderful family as well. I have no doubts that we were meant for each other and that things would have worked out for us no matter what. But the fact that our first encounter was at HON Day really helped make our connection strong right from the beginning. We were able to see each other’s charitable side immediately, and that is something that helped us grow together as a couple and will help our new family grow in the future. Marcus and I continue to volunteer and promote this great opportunity. 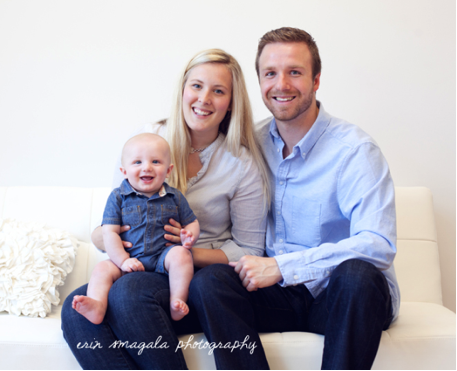 A true HON Day family: Lauren, Marcus, and baby Lincoln. Hands On Nashville Day 2013, the community’s largest day of service to public schools, will take place Saturday, September 21 from 8 a.m. to 12 Noon. More than 1,500 volunteers will take part in done-in-a-day improvement projects such as painting and landscaping at 50-plus Metro Nashville Public Schools, greatly enhancing learning environments for both students and teachers alike. Following the school projects, all HON volunteers are invited to attend the CMT One Country Celebration at The Listening Room Café for a complimentary lunch, free entertainment, and door prizes. Learn more about HON Day 2013 and how you can participate at: www.HON.org/honday. Chung Chow knows food. This 25 year old self-described “military brat” makes her living working as a restaurant manager at an upscale sports bar here in Nashville and spends most of her free time sampling the fare at the city’s many eateries. It is that same strong passion for all things cooking and food that has driven much of her volunteer work here in Music City as well. Born in North Carolina and raised in nearby Clarksville, Chung relocated to Nashville just last year. Like so many new arrivals and transplants, she was looking for ways to meet new people and get involved in community service. With some encouragement from her mother, an avid volunteer herself, Chung began researching volunteer opportunities through Hands On Nashville (HON). Chung and her students working on a new dish together. It didn’t take long to find her first opportunity. Within a week, she was volunteering at Second Harvest Food Bank, where she was welcomed with open arms by Second Harvest’s staff and her fellow volunteers. That initial opportunity, which she considers her most memorable volunteer project to date, made Chung realize that volunteering in an area that she loves can make for a much more meaningful service experience. So, with a minor in Culinary Arts from Austin Peay State University (where she also currently holds an adjunct professor position) and three years of experience as a pastry chef prior to the transition into restaurant management, Chung took her considerable talents and expertise and began serving as a skilled volunteer at the Margaret Maddox YMCA. There, she teaches a regular cooking course at the teen center that educates youth on the importance of healthy eating and portion control. Chung takes great pride in being able to pass along her food knowledge to young people, helping them make smart choices about what they eat. 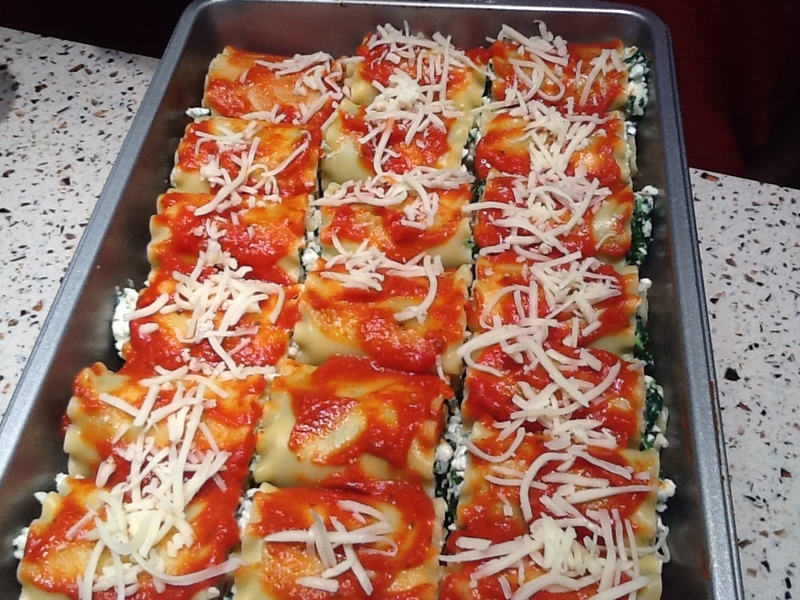 Just one of the many meals Chung and her students put together at the Margaret Maddox YMCA. With two jobs and a busy schedule, Chung admits that finding time to volunteer can sometimes be a challenge. But after gaining so much from volunteering through HON, she’s determined not to allow that to become a deterrent. >To find out how you can help your local YMCA, click here! She’s been working with The Nashville Food Project as a Volunteer Leader since September 2012, but has been an active Hands On Nashville volunteer since 2009. 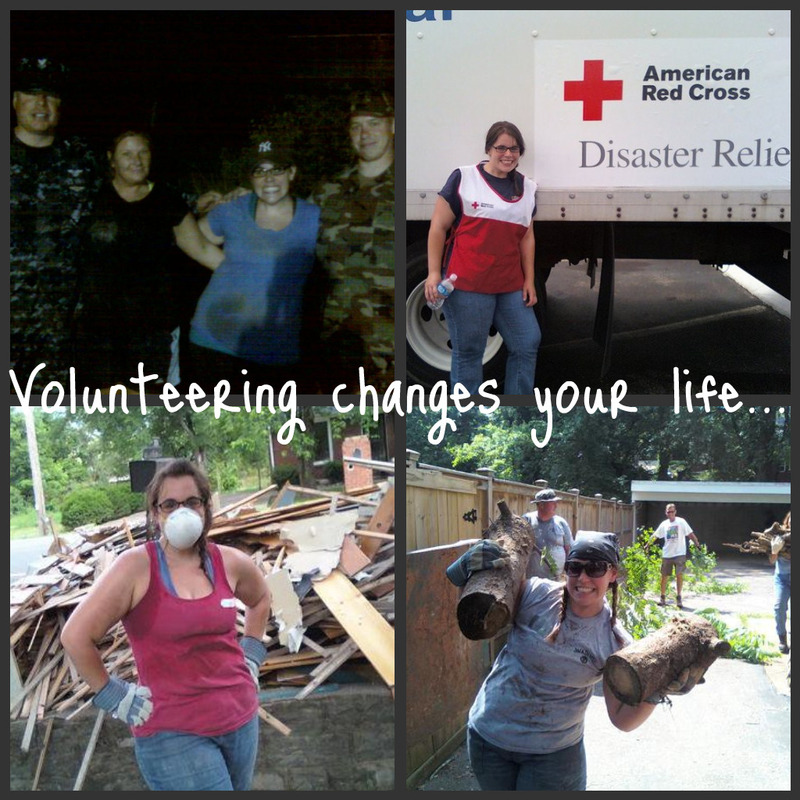 From a very young age, Julie was taught that helping her community was part of normal life. She continues to value the opportunity to help out her community and encourage those around her to do the same. Are you looking to get involved with The Nashville Food Project like Julie? ➢ Click here to see a list of upcoming opportunities and sign up. Guest blog post by Laurel Cunningham- Laurel, a sophomore at Harpeth Hall, is one of 13 HON Youth Volunteer Corps Interns, serving in the 2012-2013 class. Each month, she plans and leads two fitness and nutrition-focused lessons that engage the children served by the Fannie Battle Day Home For Children after-school program. Laurel (front row, third from the left) and the other HON youth interns – What an inspiring group of young leaders! I am Laurel Cunningham, a Youth Volunteer Corps Intern with Hands On Nashville. I have been assigned to teach the adorable children at Fannie Battle Day Home for Kids about health and nutrition. Along with these twice-a-month lessons, I am also helping plan and organize HON’s community service events. In addition to these two roles, I also have the opportunity of meeting several other wonderful interns who teach children at nonprofits throughout Nashville. Every other Tuesday, I walk into the bustling center and see dozens of four-foot-tall kids running around, eating snack, and doing their homework. As they line up to come to my lesson, they try to peer in my bag to get a sneak preview of the day’s lesson. Their deceiving, cute little smiles also try to convince me to let them just play games all day. “Can we PLEASE play a running game today,” shriek the children. “If we have time left over,” I reply, hoping to finish my lesson and allow time for a quick tag-team game. Once we get settled in an open area, usually seated in a circle, the lesson begins. The lessons are all interactive and hands-on. One of my favorite lessons I have taught so far was called “H2O.” The kids learned about the value of water and how important it is to drink enough every day. I have them each their own plastic water bottles to decorate. While they were decorating, I pulled out plastic baggies filled with sugar. Each baggy had the name of a popular soft drink and had the exact amount of sugar in the baggy as in an actual can of that drink. The kids were shocked by what they were drinking, and even the faculty at Fannie Battle vowed to drink more water and fewer soft drinks! This year, I hope to teach the kids about what is so good about vegetables and fruits, teach them new games that they can recreate on their own, and show them how to bake food that is healthier for them. So far, I feel that I have started to obtain my goals with the children. Every time I leave Fannie Battle, I spend my whole car ride home thinking about I can’t wait to go back! Hands On Nashville Youth Volunteer Corps Interns serve as a leadership team that works with HON staff to develop and lead youth projects and initiatives to benefit the community. Interns gain experience designing and facilitating educational and skill-building lessons for youth served by area nonprofits. Each applicant can choose from one of the following three concentrations: Arts, Fitness and Nutrition, or Technology. The intern team also gains experience in co-leading large service events in the community. Youth Internship applications for next year will be available in February 2013. Interested in getting regular updates about youth leadership and volunteer opportunities with Hands On Nashville? > Sign up to receive our VolunTEEN e-newsletter. > Join the HON VolunTEEN Facebook page. 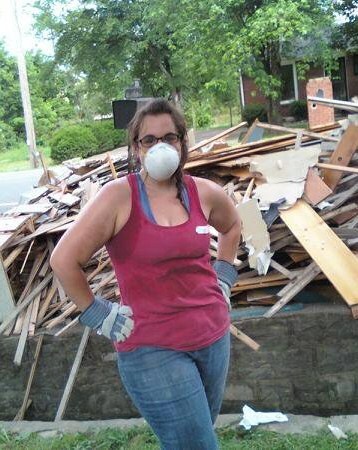 I lived in Nashville for about a year and when I first moved there, I knew I wanted to spend a good bit of time volunteering and learning about my new city. Through the extensive calendar at Hands On Nashville, I learned about an organization called The Nashville Food Project, which quickly became one of my favorite volunteer opportunities. The Nashville Food Project is designed to create healthy food and deliver it by truck to the low-income areas of Nashville to ensure that everyone, regardless of their income, has access to a nutritious meal. The food they turn out of that tiny kitchen is amazing – like summer stir fry with beef or vegetarian lasagna. From the minute I walked into their offices I was hooked! There was fresh produce on every shelf and everything was incredibly well organized. It was clear that the team had fully embraced the idea of providing a rewarding and seamless experience for their volunteers. After a couple of times of volunteering, one of the project leaders suggested that I look into becoming a volunteer leader myself so that The Nashville Food Project, in cooperation with Hands On Nashville, could offer more meals each month. After a little arm twisting (ok, definitely no arm twisting required), I signed up to run the project on the fourth Sunday of every month for six months. Two months in, I moved back to Memphis, but I love the project so much that I continue to drive to Nashville each month to work with the project. If my count is correct, Day 25 of Mission Memphis marks my fifth time to lead a group for the Nashville Food Project. This incredible project is housed in a small, unassuming building in the corner of a church parking lot. When I walk in for the project, there is a row of clipboards and one has my name and the date for the delivery. On a nearby shelf, another sheet displays what I’m supposed to prepare and take for the trip that day, and tells me the places we’ll be visiting. About 70-80% of the food served is hot (like the veggie lasagna mentioned above), but on the weekend shifts we stick to sandwiches and fruit. Shortly after I get there, the volunteers start to show up to prep the sandwiches for the trip, which usually involves making 60-80 turkey sandwiches. One of the volunteers, Brittany, is there consistently each time I’m working, despite the fact that she is working two jobs and putting herself through school. While you can’t see all the sandwiches in this picture, the wonderful volunteers assembled 60 sandwiches for the delivery. Generally, I experience a volunteer opportunity from the perspective of the volunteer, rather than the volunteer coordinator. This project is one of the few instances where I feel like the volunteer experience is up to me – that it’s my responsibility to make sure that each volunteer feels valued and appreciated. It always makes me a little nervous because I put a lot of pressure on myself to provide a meaningful experience. It’s nerve-racking because you never know who is going to show up (or if they’re going to show up), and most of the people I interact with are new to the project. When we get new volunteers, I make an effort to point out the map wall (as I call it), which highlights the different areas served by the project and includes a brief description of each location. When we have it, I also like to point out all the fresh produce that’s donated (hundreds of pounds) or grown in the garden out back. Before we leave, we take a few minutes to talk about guidelines for the volunteers and what to expect from the experience. I explain that most people will be very gracious and friendly, but sometimes people are grumpy and that’s ok. I tell them that I’ve never had any trouble on one of the deliveries and that it’s likely to be a rewarding experience, but sometimes people can be unpredictable and if anyone feels uncomfortable that we’ll leave. I just want to make sure that everyone feels as prepared and comfortable as possible especially if this will be their first client-facing experience in the area of hunger and poverty. After prepping the sandwiches and covering the basics, we grab the fruit, hardboiled eggs, and any special produce and load up one of the two trucks for delivery. Once we get to the site, we’ll set up an assembly line to hand out the food, which on this run included turkey sandwiches, string cheese, apples and oranges, and hardboiled eggs. Usually we also take bananas and those tend to be the most popular. I quickly learned that the soft foods tend to go quickly because many of the people who receive food might be missing most or all of their teeth. The first time I realized this I was shocked – not because their teeth were missing, but because it was so hard to tell! Many people alter the way they talk in an effort to hide their mouth. I’ve had entire conversations without realizing that someone was missing their teeth. One of the many amazing things about this project is that I get the opportunity to visit the same sites each month, which gives me the opportunity to build relationships with the people we serve and to learn their stories. For example, one of our regular characters is Jack – an overweight Chihuahua who rides around contently in his owner’s wheelchair. Jack’s owner has a cowboy hat and a long beard and he seems happy to let Jack steal the show. I’ve seen them on every trip. Everyone knows him, but no one knows his real name. We all call him “Jack’s owner” and he typically peppers us with jokes on our visits. The other incredible thing is what the experience does for the volunteers. When we leave from the church parking lot, everyone is pretty quiet, because they’re strangers to one another. So, I tend to run my mouth and ask everyone lots of questions to get them talking. On the ride home, my poor emcee skills are thankfully not needed – everyone talks about their common experience and swaps stories about the trip. The whole process is designed to build community in more ways than one. I love this project for many reasons. I think there are two main things that really got me hooked in the first place. I love the idea that everyone is deserving of a good, nutritious meal rather than the scraps and cheapest food available. Everything that comes out of the kitchen at The Nashville Food Project is thoughtfully prepared to be good! It sends the message that we’re all equal and that everyone is worth the extra effort necessary to offer wholesome food. Second, this is a wonderful experience for volunteers because it gives you the opportunity to interact with the clients and it challenges your perception of what poverty looks like. It’s a rewarding experience for everyone involved. I wish I could duplicate this group and drop one in every city. Interested in volunteering at The Nashville Food Project with Sarah? > View upcoming opportunities and sign up. I got to know Hands On Nashville 10 years ago as a Belmont University student. Then, I would volunteer periodically and participate in events like Hands On Nashville Day, our community’s largest day of service in Metro Schools. My real and meaningful relationship with Hands On Nashville began with a simple text message I received on May 3, 2010. It read, “Sandbaggers are needed immediately in Metro Center to stop the levee from breaking.” While my own apartment had water from Mill Creek filtering in through the front door, I felt an undeniable need to respond to that text; so, I drove to Metro Center. As I approached the volunteer site, Metro Police warned me that if the levee were to break, we’d all be in danger. With a smile and a nod, I joined dozens of other volunteers. With the toss of my first sandbag, something inside of me changed. I could actually feel it. With every additional sandbag I touched over the next 6 hours, the pride I had looking at the volunteers around me was overwhelming. We were wet, cold, tired, and covered in sand fleas; yet we kept working. Each of us wanted to lessen the impact of the 1,000-year flood. We came together as strangers, but we left as neighbors. For me, the dirty water from the flooded Cumberland River washed me clean. In the weeks following the flood, I’d deliver food and water; tear down homes; and set up distribution centers. I even honed my skills driving a big rented Budget truck to deliver supplies. Volunteering had become by passion, and I was glad that Hands On Nashville provided me so many opportunities to make a difference. In fact, through my HON flood volunteerism, I connected with the Red Cross. Today, after months of training, I am a certified Red Cross first responder. I assist in a variety of disasters – from house fires to floods – and I’m grateful for the opportunity to help people when they most need me. I am also proud to serve as a Hands On Nashville volunteer leader. One Saturday every month, I guide other volunteers in cleanup projects at the Nashville City Cemetery – our city’s oldest public cemetery. Due to its historical and architectural significance, the Nashville City Cemetery is listed on the National Register of Historic Places. Many prominent figures are buried there – from Nashville’s founders Charlotte and James Robertson to two of the original Fisk Jubilee Singers. This project is a perfect match for my skills. As a museum curatorial assistant at the Grand Ole Opry, I have expertise in the preservation and restoration of historic artifacts. During this project, I teach other volunteers how to slow the deterioration of headstones. By clearing away magnolia tree seeds, nuts, and other natural materials, we do our best to maintain this important piece of history. But, for me, being a HON volunteer leader is even more than completing important service projects. When I put on my volunteer leader shirt – the one with the handprint surrounded by little circles – I do so knowing that I represent not only Hands On Nashville, but all of the volunteers that go out and give of themselves in their free time. That’s powerful. Interested in leading a volunteer project? > Click here and learn how to get started.